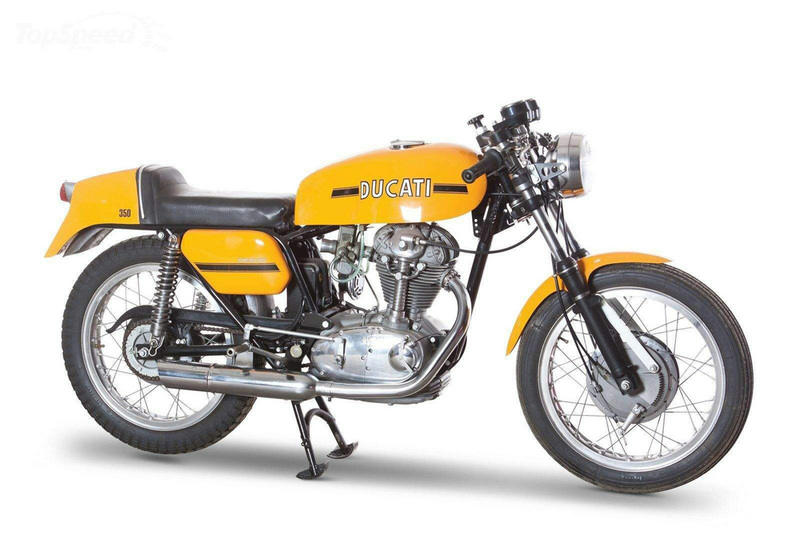 In 1968, the wide-case 350-cc Mark 3 Desmo was the fastest production Ducati one could buy, with 103 mph on tap, or 112 mph with a noisier megaphone pipe. There were several options: high touring bars instead of clip-ons and even a racing kit with more radical camshaft, fairing a range of main jets and megaphone exhaust. The bike was unmistakable with early examples having twin filler caps on the fuel tank and the white-faced Veglia tachometer on the right fork crown. The fuel tank was chrome plated on the sides, with a metal Ducati badge, and the headlight and fenders were chrome plated. 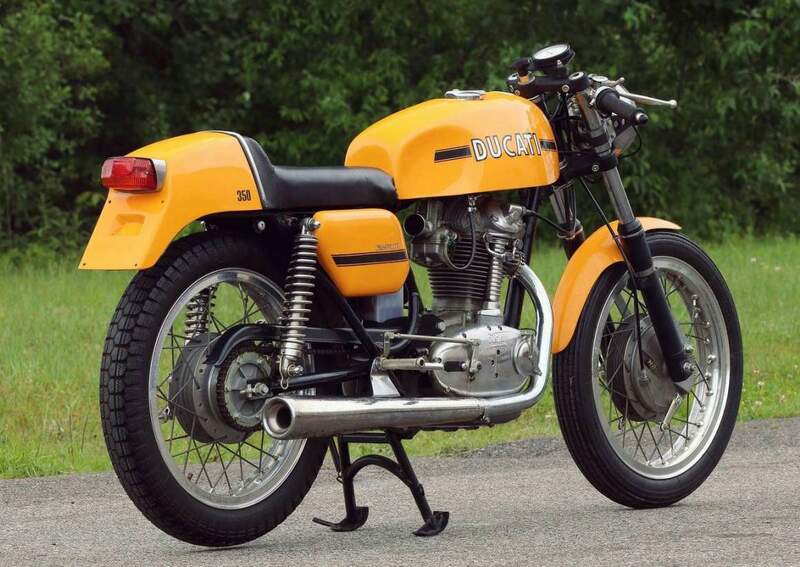 When the 450-cc engine was introduced in 1969, the range was redesigned somewhat, with a square-slide Dell’Orto carburettor replacing the previous SS1, a single filler cap fuel tank and individual speedometer and tachometer, instead of the headlight-mounted speedo in the 1968 model. A cut-off Silentium exhaust silencer replaced the bullet exhaust. 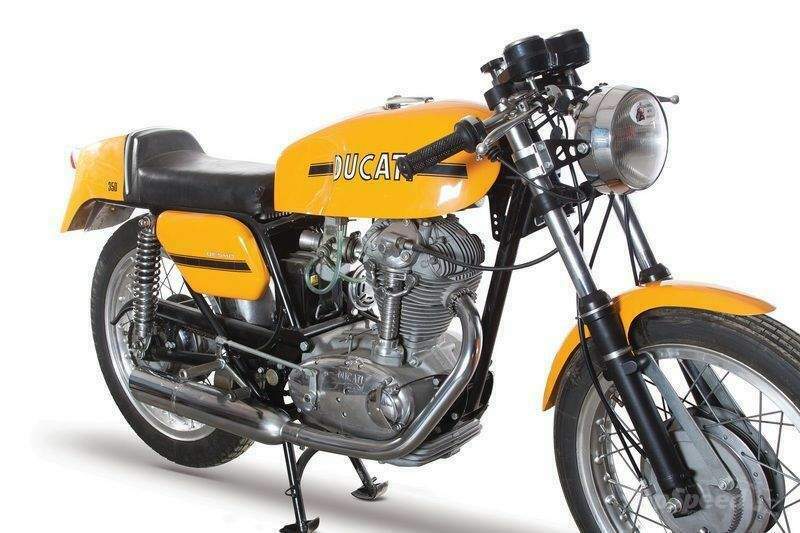 Cycle magazine tested the 250-, 350- and 450-cc models imported to the U.S. and reported that the 250-cc and 450-cc engines had a wide power band, while the 350-cc was basically a bottle-rocket, with power coming on with a rush at 6,500 rpm. 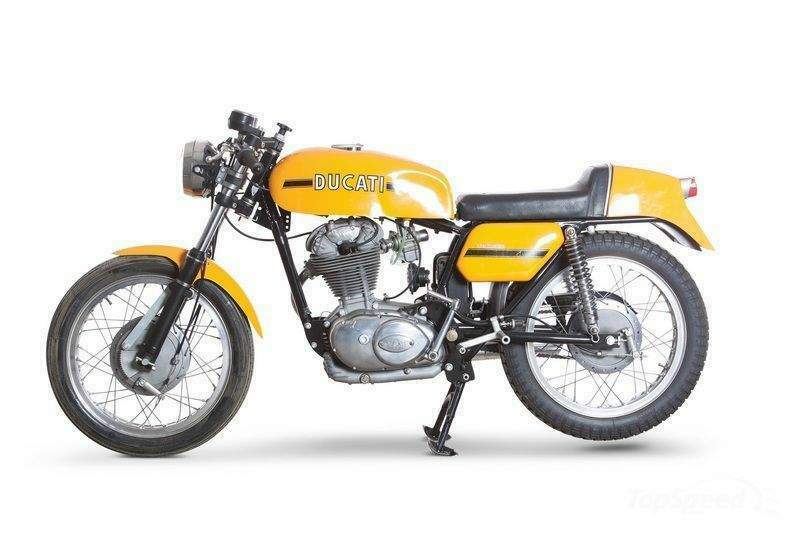 Not surprisingly, the 450 cc was fastest through a quarter-mile at 16.6 seconds, but the 350 did it in 17.6 seconds, and that was cut to 15.15 seconds with a megaphone exhaust, suggesting that the Silentium pipe restricted the bikes performance significantly.